Hand-Crafted Cabinetry made in the U.S.A. More than 170,000 combinations of doors, finishes and woods. Ultracraft are experts in providing the look feel a project requires. This cabinetry line offers up to 15% more usable space than manufacturers that rely on framed construction, meaning you’ll be able to fit more items into your existing footprint. 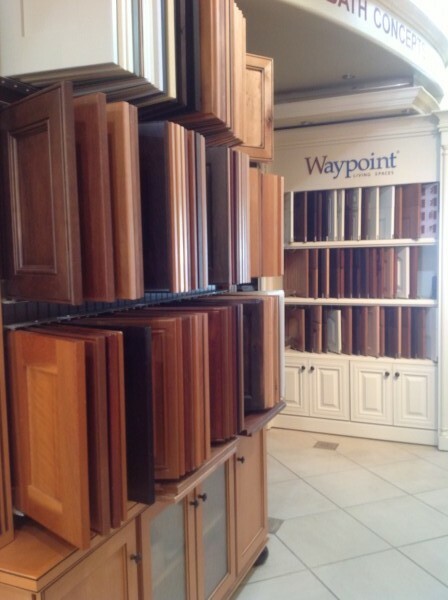 Waypoint® takes pride in building cabinetry that’s beautiful and durable to meet the rigorous needs of the American family and their way of life. So when you choose cabinetry, it’s important to choose both strength and beauty. Eclipse Cabinetry is built with a unique, full-access frameless construction inspired by European cabinetry, but made in the USA. From classic cabinetry to modern and chic, Eclipse Cabinets will make your style come to life. With finishes across the spectrum, we are sure you will find the perfect color for your kitchen, bath, or any other room you desire. Shiloh produces kitchen and bath cabinetry with the customer in mind. Their cabinetry is designed for the kitchen or bath, entertainment room, or any other area of your home where cabinets are needed. They offer custom options and numerous accessories, throughout the east bay, without the custom price tag. W. W. Wood Products, Inc. is a leading North American manufacturer of wood moldings, cabinet doors, and custom cabinetry for distinguished homes. Their cabinet products have been used in San Francisco Bay Area homes for years. W.W. Wood Products, Inc. designs quality cabinetry to maximize function and value, while still providing the customer with unmatched distinction and style. Converting clients ideas into workable and pleasing results requires experienced and talented designers. Our seasoned designers will produce plans that suit your desires and budget. Our sophisticated CAD software will produce colored, almost photo realistic renderings, elevations and perspective views. We charge $450–$600 for an initial design consultation. The consultation includes a job site visit, in home consult, measuring, and initial plans which are yours to keep. Initial plans are usually completed within one week from job site visit. Plans are then reviewed with your designer in our showroom. We encourage you to make use of our extensive collection of samples. Past clients have found it very helpful to have actual door and wood samples when selecting their granite, tile flooring and other materials. Once you and your designer have decided on the style of cabinet we will prepare a cost estimate. Working with a great kitchen designer is essential to a successful project. I feel we have the best in the East Bay Area. Just call to schedule an appointment. We are the authorized distributor of a few manufacturers and have carefully chosen the finest high-end cabinet makers because of their consistent quality, style and variety of cabinetry products. Since 1981 Distinctive Cabinetry has earned its reputation as one of San Francisco – – Bay Area’s best Custom Cabinet distributors and home of the finest design professionals. Contractors, Builders, Interior Designers and Architects can depend on Distinctive Cabinetry for excellent service, design and the latest Contemporary and Traditional cabinets showcased in our modern new showroom. We are a cabinet distributor of contemporary and traditional designs and high quality built custom cabinetry products for every room of your home including the kitchen, bath, home office, master suite, laundry room and entertainment center. We are dedicated to creating the finest kitchen cabinet products that are highly functional, unique and distinctive. We are also distributors of a variety of designer kitchen accessories. You can see these fine cabinet products on display in our extensive Walnut Creek showroom. We are also distributors of Concrete, Granite, Caesar Stone Countertops and a variety of other kitchen accessories. Visit us today!